This book brings together a collection of leading international experts to explore the lessons learnt through implementation and the future directions of crime prevention policies. Through a comparative analysis of developments in crime prevention policies across a number of European countries, contributors address questions such as: How has 'the preventive turn' in crime control policies been implemented in various different countries and what have its implications been? What lessons have been learnt over the ensuing years and what are the major trends influencing the direction of development? What does the future hold for crime prevention and community safety? Contributors explore and assess the different models adopted and the shifting emphasis accorded to differing strategies over time. 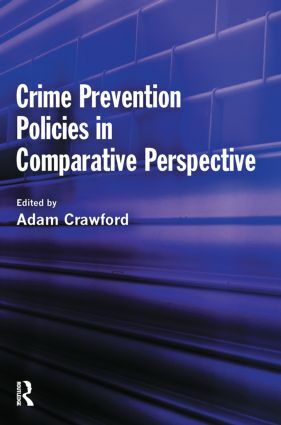 The book also seeks to compare and contrast different approaches as well as the nature and extent of policy transfer between jurisdictions and the internationalisation of key ideas, strategies and theories of crime prevention and community safety. The development of community safety in Scotland: a different path? Crime prevention in Hungary: why is it so hard to argue for the necessity of a community approach?